Check this area for news on upcoming events. Gothenburg, Sweden at the Swedish Exhibition and Congress Centre. View program details here. 23- 27 October - Health & Wellbeing in the Silver World: From Bench to Policy View program details here. 31 October - 2 November - Institute on Ageing, UN Malta: INPEA Vice President Rosy Pereyra, MD will take part in the upcoming Institute on Ageing, UN Malta , INIA In-situ training programme in Policy planning, implementation and monitoring of the Madrid International Plan of Action on Ageing - in collaboration with Fundacion NTD Ingredientes, in Dominican Republic. 12-13 November - International Conference on the Human Rights of Older People (ICHROP) "Robotics and Automation- Implications for Human Rights" Ringturm, Schottenring 30, 1010 Vienna, Austria. Click here for accreditation and registration Registration deadline is Oct 29th. 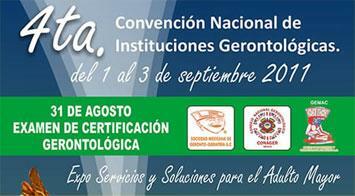 An “Intensive course on Ageing” is organized for June 30th and July 1st, 2011 at the Institut de l'Envelliment of the Universitat Autonoma de Barcelona, Spain, under the auspices of the IAGG (International Association of Gerontology and Geriatrics). Internationally recognized specialists will share their knowledge on topics on main aspects of social gerontology, biological aging and clinical gerontology. Oral communications will be presented within the framework of sessions (30 minutes) & workshops (60 minutes). Course Directors will include: Jaime Fitten (United States) - Professor of Psychiatry Biobehavioral Sciences and member of the Brain Research Institute, University of California (UCLA), Los Angeles Norah Keating (Canada) - Professor and Co-director of Research on Aging Policies and Practice, University of Alberta, Edmonton Antoni Salva (Spain) - Director of the Institut de l’Envelliment of the Universitat Autonoma, Barcelona Alan Sinclair (United Kingdom) - Professor of Medicine, Director of the Institute of Diabetes for Older People (IDOP), University of Bedfordshire Bruno Vellas (France) - Professor of Medicine, Chief Department Internal Medicine and Geriatrics, Chief of Alzheimer’s Disease Clinical Research Centre, Toulouse University Hospital. Please click here (http://www.ic-ageing.com) for presentation, preliminary program, general information and registration procedure. To benefit from special rates for your accommodation, please fill out the Hotel Booking Form. Offices of AARP, Lexington Avenue, New York City, NY USA. 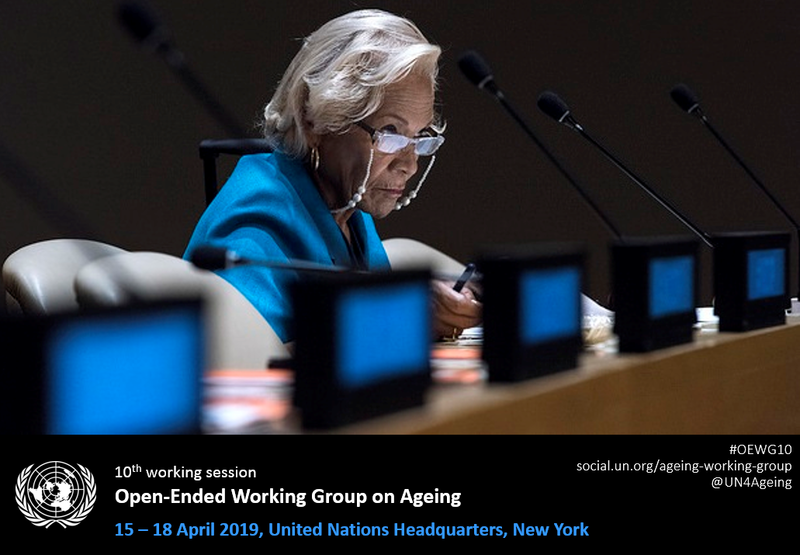 President and Chair of the Board of Directors, Gloria Gutman, is providing notice of the upcoming 2010 Board of Directors Meeting to be held in conjunction with the UN IDOP Event in New York City, NY. Agenda items will be sent to Board of Directors by September 1, 2010. Directors wishing to add items to the agenda should click here to e-mail to Susan Somers, Secretary General. Location information will be forthcoming. President Lia Daichman is providing notice of the upcoming 2009 Board of Directors Meeting to be held in conjunciton with the IAGG meeting in Paris, France. Agenda items will be sent to Board of Directors by June 1, 2009. Directors wishing to add items to the agenda should click here to e-mail Susan Somers, Secretary General. GSA Conference Gaylord Hotel, National Harbour, MD USA. GSA Conference Gaylord Hotel, National Harbour, MD, USA. Board Members may e-mail Susan Somers, INPEA Clerk for more information. A modular two-year part-time training programme in gerontology, with a strong focus on international comparative research. The programme is developed and delivered by a network of 18 European universities. First-year modules delivered in different eropean cities. Additional assignments via e-learning. Second year specialization. Participants are welcome to join the full program, or to enroll for individual modules. The honorees are featured on the websites of the three sponsoring organizations, INPEA, NCPEA, and FVSAI and the awards are presented each year at the International Family Violence Conference in San Diego, California, in September since the inception of the award in 2002. 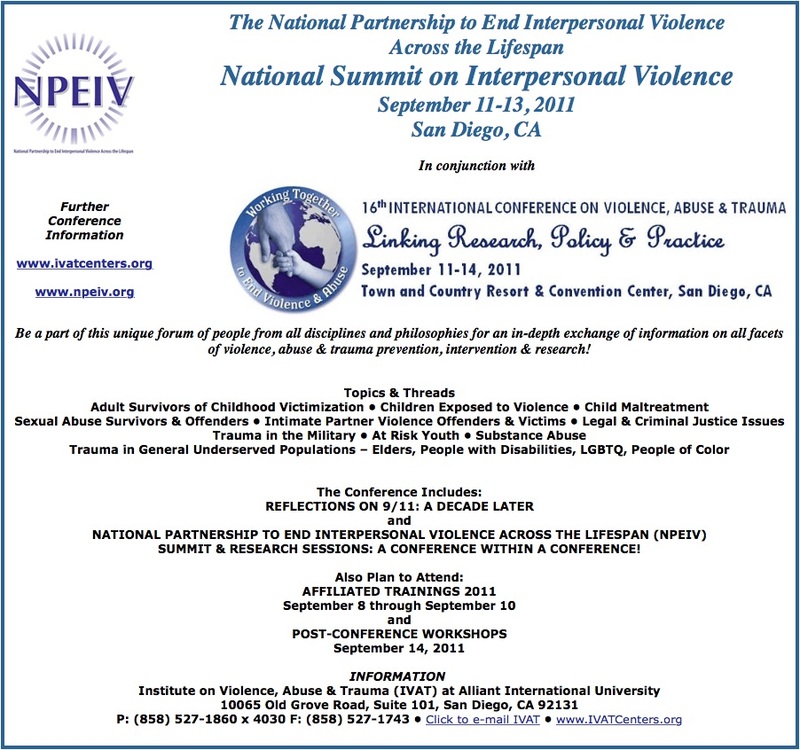 Visit INPEA's Rosalie S. Wolf Memorial Award page for further information.